Let’s be real. As much as we love to hate them, most politicians aren’t stupid. Then why, when 97% of scientists agree that climate change is real, do so many lawmakers fail to act against it or flat out deny its existence? The Cost of Denial offers an answer to that inquiry. 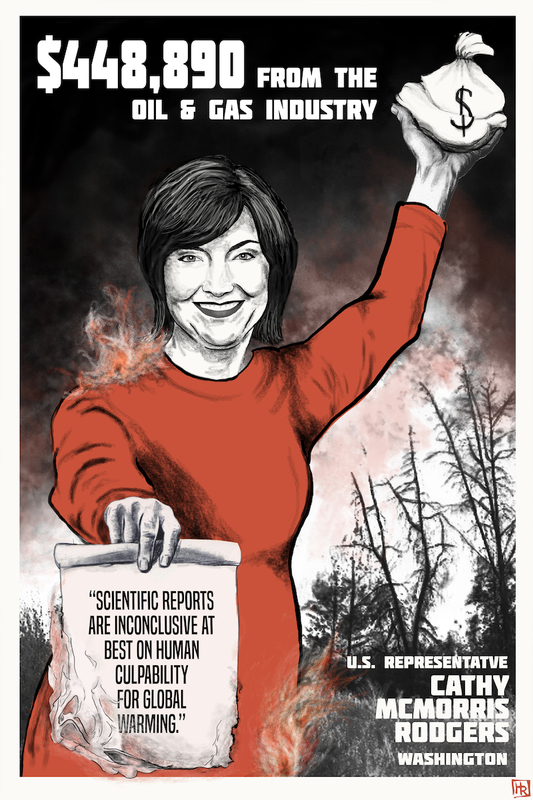 Focused on 10 candidates that were up for reelection in November 2018, the project places each candidate’s campaign finance data next to one of their climate-denial quotes or votes. And the coincidences are striking. 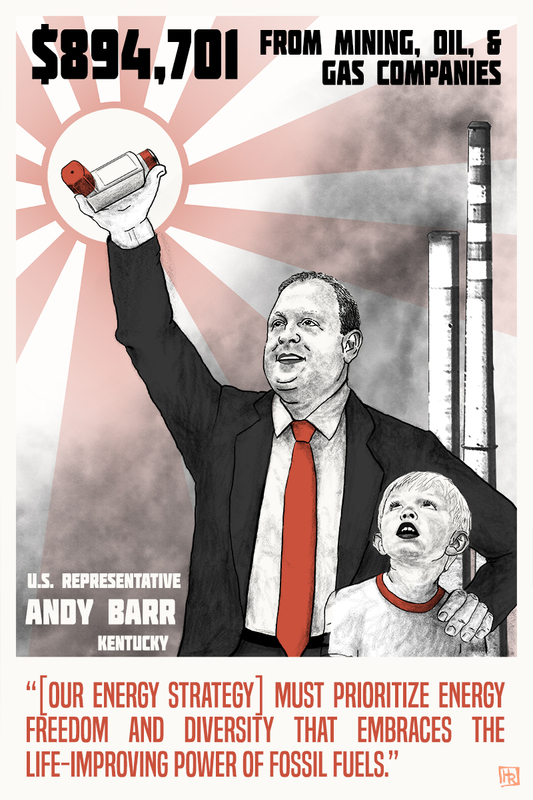 Register to vote here, and let’s vote all fossil-fuel-fueled fossils out of office. ﻿Anything else I should know about those dollar amounts? So glad you asked. The amounts featured in The Cost of Denial are lowball estimates. 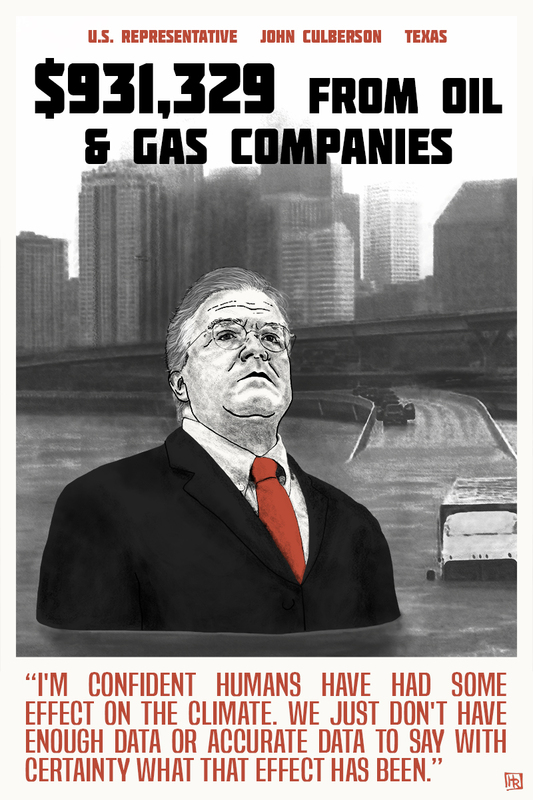 Since dark money was given the green light by Citizens United in 2010, increasing amounts of oil and gas money are sliding into politicians’ pockets through publicly untraceable avenues, like shell companies and non-profits (who don’t have to disclose donors). Since I’ve yet to develop ESP, I did not include these political donations in this project. Why so many Republicans, you stinkin’ liberal hippie? I would have liked to make this project completely bi-partisan. 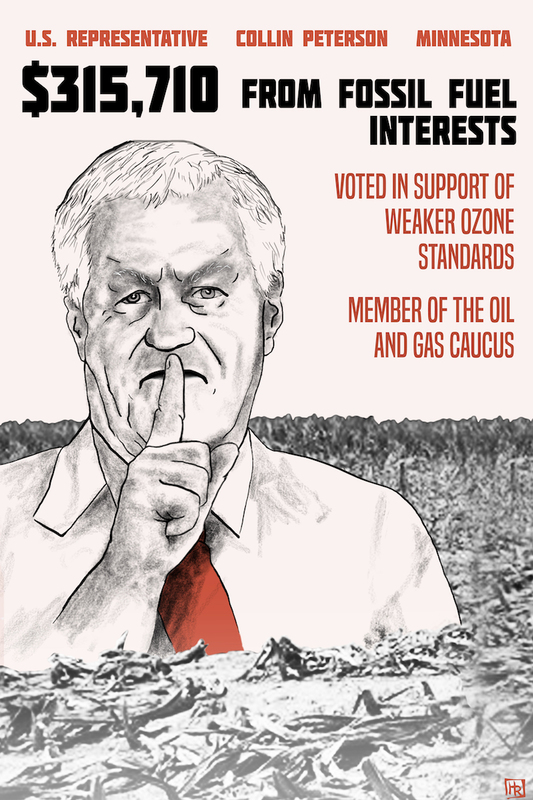 With a nod to that desire, I have included a Democrat, Collin Peterson, whose environmental voting record is poor. That said, climate change has unfortunately become a partisan issue (even though it wasn’t always). When, you look at where fossil fuel industry money goes in Congress, it’s not hard to see why. 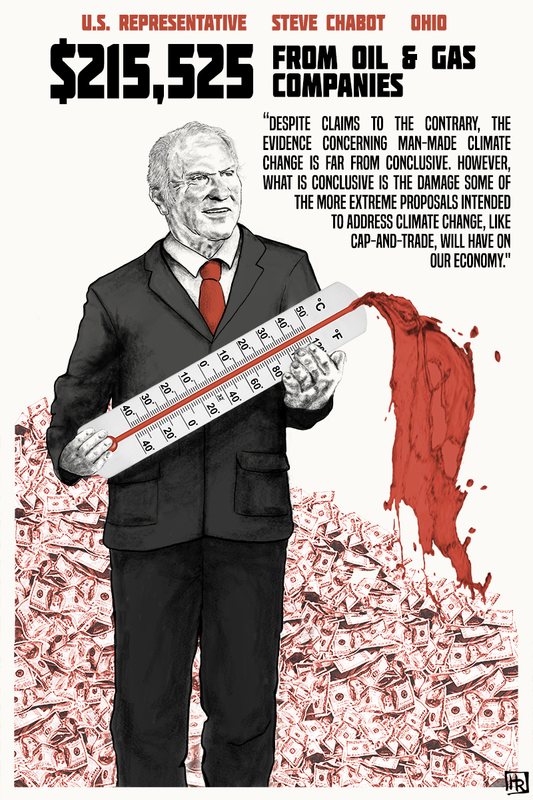 Is this whole money issue isolated to climate change? Nope. I could have looked at a number of issues, from net neutrality to financial reform, to private prisons and big pharma. I chose to focus on climate change because it’s the most urgent. Not only is it largely irreversible, it will have a disastrous domino effect on other issues, like rampant inequality and accessibility healthcare to name two. Thanks, now I’m depressed. Tell me something funny. Q: Does running out of a burning barn make a cow unusual? A: No, only medium rare. Meh. That almost made me feel better. Just tell me all this information is made up, and I’ll leave you alone. No can do, sorry. Sources cited below. Take a look! Made it this far? Bravo! Here’s a little bonus image for you. I made it early on in this project, before solidifying the project’s fine-tuned focus.